This website is the foundation of a kind of grassroots level volleyball coaching education and development effort. 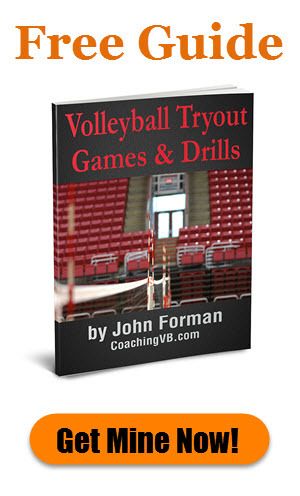 John Forman began it in 2013 to share information and ideas about all aspects of coaching volleyball. 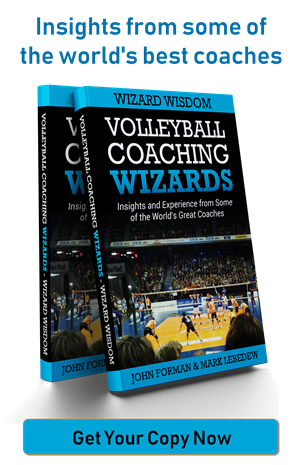 John’s main inspiration was to use his experience at various levels in the U.S. to help the development of the volleyball coaching community in the South West of England. Things, though, soon went well past that. Visitors to this site now come from all over the world. The vision of Coaching Volleyball was always more than just a 1-way discourse, though. John’s intention from the start was to have a strong interactive aspect to things. He wanted coaches to connect and share with each other. That’s why John integrated the likes of Twitter and Facebook with this site from the start. The lack of a networking link like a coaches association in England as there was with the AVCA in the States was a big motivation. That said, however, such high level coaching groups can be quite limited. They often end up being mainly about information dissemination from the center out to the members. Aside from the centralized events like conventions (which only a fraction of members can attend), there ends up being relatively little interaction between and amongst the broad community of coaches themselves (though the development of things like Facebook groups has improved that considerably). Then there are the coaching development programs run by the likes of Volleyball England and USA Volleyball with their tiered certification processes. They do a service, but have costs which keep many coaches away (especially younger and volunteer types). Their structures also often don’t reflect how a large proportion of coaches become involved. In many cases they mirror the player development programs. They function for a core group, but leave the lion’s share of participants on the outside looking in. It is hoped that by dealing with coaching at the ground level where most of us actually operate, Coaching Volleyball can serve to fill in at least some of gaps the associations and national coaching programs leave uncovered. So that’s the mission – help the common coach reach their potential and take their coaching as far as they wish. If you’re a coach – no matter the experience, age, gender, or level – have a good look around. Chances are good you’ll find something of interest. The menu bar at the top of the page will let you navigate the site by content category. On the sidebar you’ll find a list of recent popular posts. Don’t be shy about leaving comments on any of the posts. Disagreements are welcome, so long as the tone remains civil. If you have a question, or something you want to discuss outside the site, you can use the form on the Contact page.